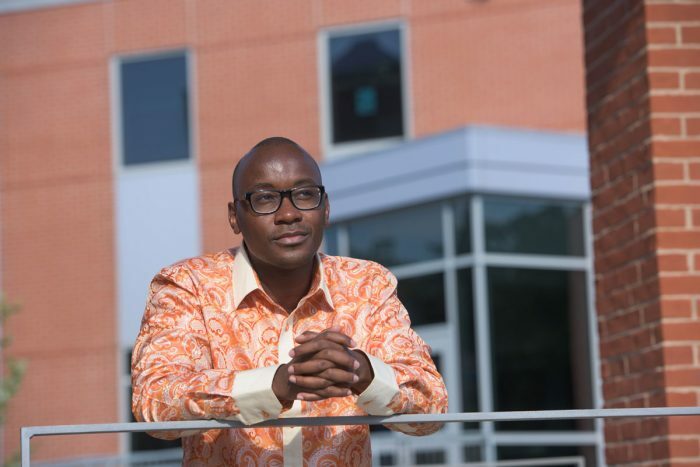 Powering through a diet of hot-cup ramen noodles and sleepless nights spent working at his kitchen table, Southern alumnus Mawano Kambeu, ’08, laid the foundation for what ultimately would be recognized by Harvard Business School’s Africa Business Club as the Best New Venture for 2015. “In Africa, it always seems you’re told what you cannot do. You need to stay positive and prove those people wrong,” says Kambeu, founder of the award-winning Dot Com Zambia, one of Africa’s fastest-growing ecommerce companies. The online service provides Zambians with a lifeline to merchandise from both local and international retailers (ranging from bus tickets to popular items from websites like eBay and Amazon.com) as well as fulfillment and shipping services. Dot Com Zambia got its unofficial start in 2007 after Kambeu discovered that Amazon.com was not delivering U.S. goods to Zambia. Kambeu — who traveled between the two countries — would receive “shopping lists” from family and friends in Zambia, and would return to his homeland with multiple suitcases filled with the requested items. “The world is getting smaller. We watch the same TV shows. We want the same things,” he says, noting that access to goods and services in Zambia is limited. Kambeu eventually started charging a premium on items he brought back. Meanwhile, his customers began asking for goods from the United Kingdom and China as well. The business expanded, moving out of Kambeu’s home in Derby, Conn., into warehouses in Orange, Conn., and Zambia — and today the company even has a presence in the United Kingdom and China. A modern American success story, Kambeu worked for UPS (United Parcel Service) loading and doing odd jobs while pursing a Southern degree in business administration. While at Southern, he drafted a proposal for one of Dot Com Zambia’s services, Bus Tickets Zambia, a system that enables travelers to buy bus tickets online ahead of time. The service filled a basic need, says Kambeu, explaining that in Zambia consumers would typically pay for a ticket at a chaotic station or on the bus, and then wait for hours or even days before the bus filled and departed. Kambeu conducted market research and interviewed thousands of people to determine if they were willing to pay extra for more convenient ticketing and service. His “on-the-ground” audience analysis helped Dot Com Zambia adapt its ticketing strategies to the needs and customs of the locals, giving the company an edge over larger, more well-known competitors. It hasn’t been easy, however. Problems with differing social customs, weak infrastructure, and politics continue to be roadblocks for Kambeu and his team, which now includes 23 employees plus additional contractors. But the entrepreneur remains undeterred. “Let’s work on what we control; What’s Plan A, Plan B, Plan C? We want to do what’s good for the country,” he says. In 2014, Dot Com Zambia brought in $741,000 in revenue, and more recently, has received $500,000 from investors. With growth comes change, and Kambeu now serves as managing director of the company and reports to an executive board. Meanwhile, Dot Com Zambia’s success is both measurable and motivational. In November 2014, the company was named the runner-up in the Top Start Up category at the Global Innovation through Science and Technology Tech-I competition, led by the U.S. Department of State. The following year, the company was named the Best New Venture in Africa at Harvard Business School, winning $15,000 in support. Kambeu also won the Zambian Government Award and the Zambian Entrepreneur of the Year Award. He says he’ll never forget his experiences as a struggling student and attributes the foundation of his success to Southern, particularly lessons learned from a practical business writing class taught by Jennifer Lee Magas, adjunct professor of English and the vice president of communications at Magas Media Consultants. 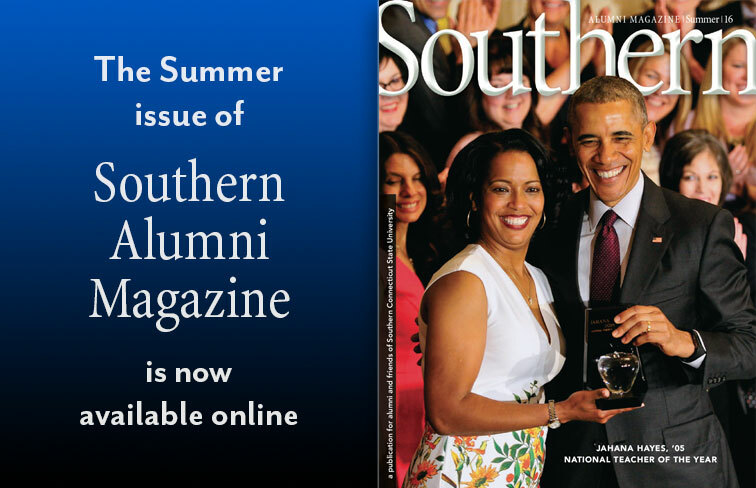 As a result of the assignments, particularly the proposal, he felt prepared to follow his entrepreneurial passion, and he has willingly returned to Southern to share his experiences with today’s students.